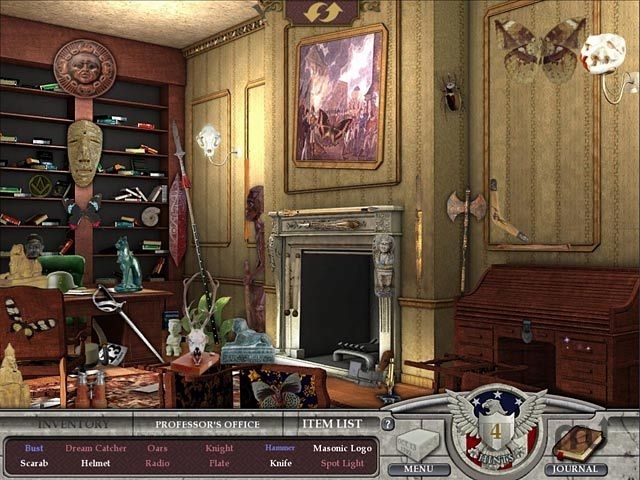 Hidden object game with perplexing puzzles. Is there a better alternative to The White House? Is The White House really the best app in Puzzle category? Will The White House work good on macOS 10.13.4? The White House...Solve perplexing puzzles, find hidden clues, and follow the mysterious trail of Miranda's missing professor as you explore The White House! Take a tour of one of America's most important landmarks, while enjoying hours of entertaining and educational Hidden Object gameplay. Unravel the secret history of The White House and uncover ancient conspiracies today! The White House needs a review. Be the first to review this app and get the discussion started! The White House needs a rating. Be the first to rate this app and get the discussion started!